We love Cats and Dogs! Our goal is to provide the very best in veterinary services for your family pet at every stage of their life, from their first vaccinations to a lifetime of optimal health care to keep them happy and in perfect health. 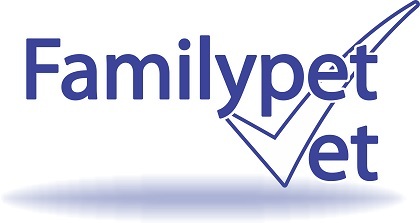 Familypet Vet is about helping pets and their people to live a happy, healthy life. Happy, Healthy Pets - For Life! Our entire team live by the best pet care service principles including dedication to the highest quality care for your pet, taking responsibility for your pet’s health personally, and investing in extra vet training & the latest technology to ensure the very best veterinary care for your pet for all its life. 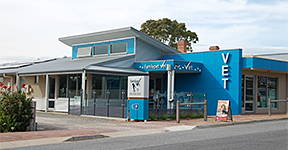 Your Family Pet Vet South Australia offers outstanding veterinary services for outstanding pets! We offer a professional, friendly service to ensure both you and your pet feel comfortable and relaxed. Coming to the vet isn’t always your pet’s favourite outing. They seem to know before you put them in the car. 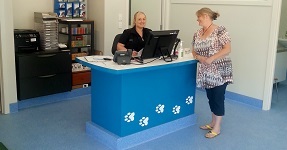 This is where things are different at Familypet Vet Coromandel Valley and Mclaren Vale. The reception is really inviting and friendly. Our Team are passionate Pet lovers themselves and your pet will be fussed over, given lots of cuddles and reassurance, and most importantly, the ultimate in professional vet care. So Come In and Talk To Us! 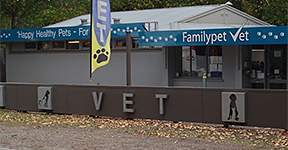 At The Family Pet Vet Clinic we welcome new patients and pets and make every effort to understand and meet your needs. Call us to discuss any of your pet vet needs or to schedule an appointment.